Harry Potter found out on his eleventh birthday that he is the orphaned son of 2 powerful wizards and possesses unique magical powers of his own. He is summoned from his life as an unwanted child to become a student at Hogwarts, an English boarding school for wizards. There, he meets several friends who become his closest one and help him discover the truth about his parents' mysterious deaths. J.K. Rowling's Harry Potter novels are now available in these spectacular new editions, with beautifully designed jackets. 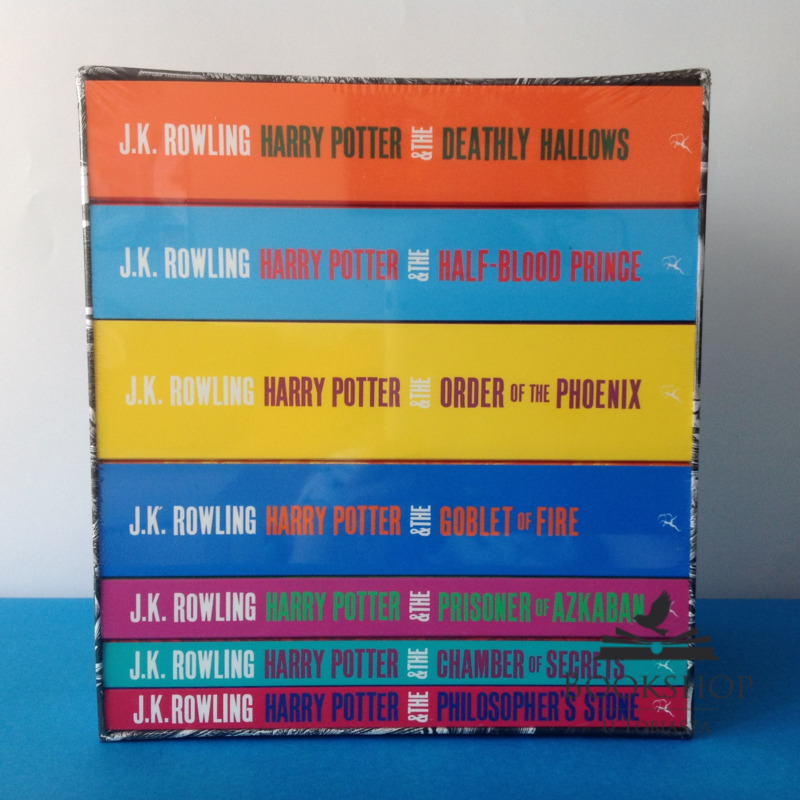 This stylish boxed set includes all 7 novels and is perfect for Harry Potter novices and collectors alike. 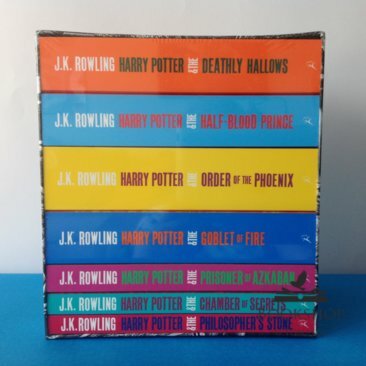 Contains (in reading order): ‘Harry Potter and the Philosopher's Stone’, ‘Harry Potter and the Chamber of Secrets’, ‘Harry Potter and the Prisoner of Azkaban’, ‘Harry Potter and the Goblet of Fire’, ‘Harry Potter and the Order of the Phoenix’, ‘Harry Potter and the Half-Blood Prince’, and ‘Harry Potter and the Deathly Hallows’.